If you’re like most people, you probably think the best way to get into real estate investing is to purchase properties close to home. You might browse Zillow for properties in your city, or drive past local homes for sale. 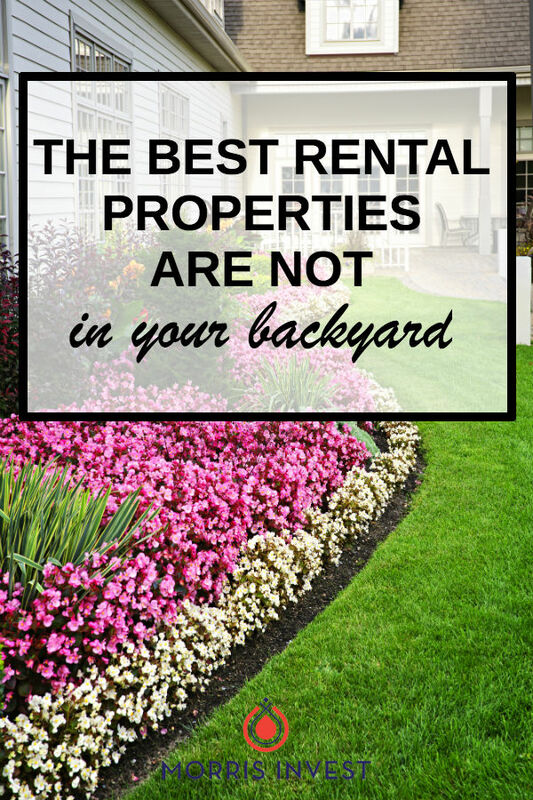 Before you give a local realtor a call, I’ve got news for you: the best real estate properties are NOT in your backyard. The problem with purchasing properties in your own neighborhood is that the ROI is likely not optimal. Since I reside in New Jersey, you might assume that I run my real estate business out of my home state. However, I would never purchase properties in New Jersey! The properties here are astronomically expensive. The property taxes are incredibly high, and it takes a lot of time and money to rehab an even remotely affordable home. Additionally, these properties aren’t worthwhile as the return on investment is low. I can’t build a successful business without a certain ROI. After all, breaking even is not a good investment. The best markets in the country are located in the Midwest. Sound scary? It’s not. It’s worth it to break outside of your comfort zone and start earning a passive income. This is how skilled investors become wealthy through real estate. If you want to start building a passive income, you have to go where you’ll earn the highest return on investment. You’ll have to leave your comfort zone, and look for properties in different markets. Don’t want to do the work? Our Midwestern turnkey properties are $40-50k, with a minimum ROI of 10-12%! Click here to book a free call; we’d love to match you with a great property!